The government’s own assessment of the impact of its planned personal injury reforms “makes the implicit assumption that solicitors, and the civil justice system as a whole, produce no benefits to society”, according to independent economists. Commissioned jointly by the so-called strategic alliance of the Law Society, Association of Personal Injury Lawyers and Motor Accident Solicitors Society, they said the reforms would benefit insurers at the expense of consumers and taxpayers. Economics consultancy Compass Lexecon was asked to review the impact assessment (IA) published by the Ministry of Justice alongside its consultation on raising the small claims limit for PI to £5,000 and either removing or capping at £400 the right to general damages. As we reported at the time, the IA forecast that insurers would pass on to consumers 85% of the savings made by the reforms, leaving them to pocket £200m. 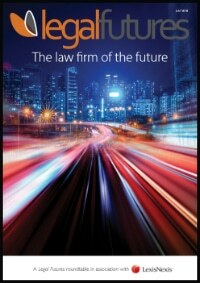 The Compass report found that the methodology employed by the government in the IA “is designed in such a way as to always yield a net benefit from the policy being considered”, because it included the increase in insurers’ profits as a benefit, but did not include the loss of legal fees suffered by law firms as a cost. “The IA makes the implicit assumption that solicitors, and the civil justice system as a whole, produce no benefits to society so that any reduction in solicitors’ revenues is a benefit to society. Using this approach, any policy that reduces use of the civil court system appears to produce a net benefit to society. Once insurers’ costs and benefits were excluded from the IA, Compass said the net benefits of most proposals were negative – “and where the net benefits are positive, they are only marginally so”. The report questioned whether reducing the number of claims would lead to lower motor insurance premiums – given that premiums have risen since the last round of reforms in 2013, despite whiplash claims and the net cost of claims falling – and the assumption that insurers would pass on 85% of savings. “There are many factors that impact the level of premium and a quantitative estimate of pass-through is difficult to obtain. There is certainly no evidence of any correlation between insurers’ costs and premium levels in the past. Compass did this instead and found that even if 90% of savings were passed on – “which we consider to be implausibly high” – the government’s preferred reform options would result in net costs to consumers and tax payers. “At a more realistic 80% pass-through rate, all of the proposed policy options result in net costs to consumers and tax payers. “The critical pass-through rate, i.e. the pass-through rate above which the net benefits exceed the net costs of the policies for consumers and tax payers, is above 85% for most policy options and more than 90% for the preferred policy options. I find that the article generalises too much. The civil justice system as a whole is vitally integral part of any free democratic society. However, the amount of money charged by the PI lawyers is quite frankly, obscene. The legal industry as a whole has been aware of this for many years and had time to put its own house in order over that period of time. If the Government are forced to act then unfortunately you have no one to blame but yourselves. And one other issue that has not been covered at all so far as I’m aware. Reducing the level of compensation payable to claimants will benefit insurers and their shareholders (with negligible benefit I suspect to policyholders by way reduced premiums) but how much of that insurer/shareholder gain ‘disappears’ abroad with little direct benefit into the UK economy. Compensation paid to claimants, however, is generally spent in the UK with a corresponding positive benefit to the economy including direct benefit to the Government through VAT. If liability is disputed how does the public know how to issue County Court proceedings to resolve liability and represent themselves, paying twice to recover any losses, how do the public risk assess their own case..!! Unrealistic to expect everyone to know what the SCP involves and to know they will not recover their costs if they are successful, and fundamentally know how to prepare for a small claim hearing and understand risks for non-compliance of court deadlines..